Madison (and the broader Dane County) has the 9th fastest growing tech/information job sector in the country. The report published by the Progressive Policy Institute evaluated jobs in information technology and related sectors during the previous 5 years ending in 2012. Dane County saw a nearly 25% job growth rate in the high tech sector during this time, making it 9th in the nation and the fastest growing Midwestern location. The impact of Madison’s digital technology companies like Epic, Shopbop, as well as emerging tech startups have contributed significantly to the acceleration of Madison’s digital economy recently. Read more from the Milwaukee Journal Sentinel’s analysis of the report here. 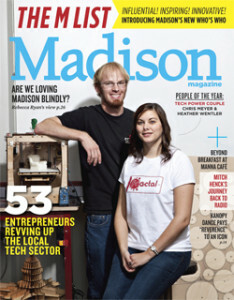 Madison’s burgeoning tech and startup scene is prominently featured on this month’s cover story of Madison Magazine. The M List recognizes fifty-three entrepreneurs and technologists whoâ€™ve launched or grown their businesses this year in an emerging and exciting high-technology sector. The inaugural M List recognizes many of the people in the startup ecosystem, nearly all of whom are involved in the Capital Entrepreneurs community. Topping off the list were People of the Year Chris Meyer of Sector67 and Heather Wentler of Fractal. The article also highlights some of the projects in the works to create twenty-first-century lifestyles through technology, workspaces and community gathering spots. The M List announcement coincided with a series of events on October 24, which included a breakfast reception, Startup Crawl, and evening keynote featuring South by Southwest Interactive Director Hugh Forrest. Read more and see the full M List here. Design Like Mad is Madison’s first design marathon to benefit local non-profit organizations. Teams of student and professional designers are formed to solve some of the most interesting design problems facing a select few local non-profit organizations. Projects include graphic, print and web design, interior design, landscape design, and even architecture. If you’re a student designer, professional designer, or non-profit seeking design aid now’s your last chance to apply to participate by October 23. The event will be held at the Madison Central Library from 9am – 9pm on Saturday, December 7th. More info is available here. On Friday, October 25 join developers from Hardin Design & Development and Bendyworks in a civic hackathon to work on projects that make Madison a better place to live. Developers, graphic artists, and tinker’ers are free to team up with anyone present, or work on projects before the event. The Mayor is also willing to meet with any groups after the event, and set up meetings with necessary staff members. It’s free and will be held on the 3rd floor of Central Library from 9 am to 5 pm. On Saturday, October 26 the third annual CityCamp will bring together local government officials, municipal employees, programmers, designers, citizens, and journalists to share perspectives and insights about the cities in which they live.The focus of the 2013 Camp is rough consensus and running code, with a priority on deploying working systems. The day will be broken up into two parts. In the morning we will have a series of sessions by members of the Madison community discussing project and initiatives they are involved with that are contributing to the Madison ecosystem. The camp begins with coffee at 9am and the first session starting at 9:30am and will take place at the Central Library. Register (free) here. Madison Magazine is highlighting all things entrepreneurial on Thursday, October 24. Join Madison Magazine, co-host Greater Madison Chamber of Commerce and keynote speaker Hugh Forrest, director of South by Southwest Interactive, in launching the first annual M List issue. Celebrate the city’s culture, creativity and emerging technology sector as we honor the entrepreneurs and technologists who’ve launched and grown businesses this year. There will be an evening reception and keynote address from 5-7pm at the Majestic Theatre, followed by a concert with Ben Sollee. For more information about the evening reception and to register, go here. There will also be a Startup Crawl from 10am-1pm. Take a self-guided tour of Madison’s tech scene and explore the burgeoning entrepreneurial world that’s right under your nose! 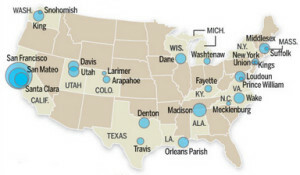 Stops include Bendyworks, Murfie, Horizon Coworking, 100state, and Sector67. More information is here. Propeller Health co-founder Mark Gehring will be speaking at the Founders’ Series meetup hosted by gener8tor on Wednesday, November 6 at 6pm at their office in Madison. Mark Gehring is a co-founder of Propeller Health (formerly Asthmapolis), the leading mobile platform for respiratory health management. Through sensors, mobile apps and services, Propeller Health helps reduce the cost of care while delivering better quality of life for individuals with chronic respiratory disease. The 2013 Wisconsin Early Stage Symposium will take place November 5-6 at the Monona Terrace in Madison. The symposium will feature a keynote from Brad Feld, the annual Elevator Pitch Olympics, and more than a dozen panel discussions featuring leading entrepreneurs, investors and others tied to the tech sector. The full agenda is available here, and to register go here. The Madison and Milwaukee based startup accelerator gener8tor is now accepting applications for their fourth class, which will take place this Winter in Madison. gener8tor is seeking to invest in technology-enabled businesses, including software, IT, web, SaaS and hardware. Accepted companies receive $70,000 and 12-weeks of mentorship-driven programming. 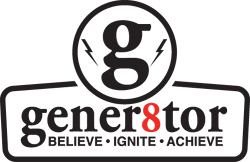 gener8tor is a member of the Global Accelerator Network (GAN) and is sponsored by American Family Insurance. The application deadline is December 1, and you can apply here. 3 Day Startup (3DS) will hold their 3rd Madison event on the UW campus on November 22-24, 2013. 3DS is an entrepreneurship education program designed for university students with an emphasis on learning by doing where a group of 40 students will start tech companies over the course of three days. Participants must apply by October 20th, and there is an info session for the event on October 15 and October 23 at 6pm in 1240 Computer Sciences. More information is available here. Entrepreneurons is a new WARF series focused on bringing the fundamentals of getting a new venture started to the UWâ€“Madison community. Entrepreneurons brings together thought leaders from across the country and our own backyard to exchange perspectives on core topics ranging from identifying an opportunity to building a startup team to financing and beyond. The fall series kicks off Thursday, October 3 with the topic of “Do you really want to start a company?”. It will feature Paul Shain, president and CEO of Singlewire Software as well as a panel of experienced entrepreneurs and UWâ€“Madison faculty to discuss their personal experiences in deciding whether, when and how to make the leap to entrepreneurship. More information on the Entrepreneurons series is here, and to register for the event this week go here.